Menstruation regulation is a technique that enables women to gain and maintain control over their menstrual cycles. Women, who have barely missed their regular menstrual period and strongly suspect that they are pregnant, but do not, or, cannot wait for confirmatory pregnancy tests, go in for menstruation regulation. Menstrual regulation can be resorted to when a woman has not had the foresight to be on contraceptives and wishes to avoid the psycho-social effects of an abortion. This could be a valuable solution to women who are confronted with the problem of an unplanned and unwanted pregnancy, enabling them to avoid the current difficulties associated with conception and termination of pregnancy. When women experience delayed menstruation either due to conception or clinical conditions, they can resort to menstrual regulation. There are several methods by which menstruation regulation can be achieved - using drugs, physical agents or surgical techniques. The drugs that are used chiefly are mifepristone and prostaglandins. These drugs are used independently or in combination. However, studies have found that they work better in combination. 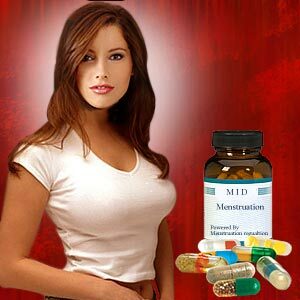 Mifepristone is anti-progesterone - it blocks the receptors of the hormone progesterone, required to maintain pregnancy. When these receptors are blocked, the embryo growth is arrested, and the uterine wall breaks down, resulting in menstruation. Mifepristone is also found to increase the levels of prostaglandins and soften the cervix, thus facilitating early termination of pregnancy. Women using mifepristone for medical abortion have been found to experience abdominal pain, uterine cramping and vaginal bleeding or spotting for up to two weeks. A small percentage of women reported some type of bleeding for a month or more. Some of the other side effects that were less commonly observed in these studies were nausea, vomiting, diarrhea, dizziness, fatigue and fever. A very rare, but serious complication is the pelvic inflammatory disease. A small percentage of women needed further intervention by a doctor to stop excessive bleeding (by D & C) and also to completely terminate a continuing pregnancy. It is therefore critical to follow up with the doctor to confirm termination of pregnancy in the 2-4 weeks post-medication. Contraindications of mifepristone include the presence of an intra-uterine device (IUD), ectopic pregnancy, adrenal failure, usage of blood thinners, hemorrhagic disorders, inherited poryphyria or long-term corticosteroid therapy. A combination of methotrexate with prostaglandins is also used in very early termination of pregnancy. The most common side effect of methotrexate is nausea. It is very unusual though, but cannot be completely ruled out that this drug may cause vomiting, diarrhea, abdominal cramping, headaches, dizziness, insomnia and vaginal bleeding as side effects. Effective birth control measures must be adopted while taking prostaglandins and continued to be taken for one month or for one complete menstrual cycle after taking the drug. Side effects associated are diarrhea and heavy bleeding. If the bleeding is prolonged, it has to be reported immediately to the doctor and a D & C may be required to be performed. Taking a combination of these drugs is advantageous over the surgical procedure as there is reduced invasion, risks arising from general anesthesia are avoided, and there is no risk of secondary infertility due to scarring and intrauterine adhesions (except a minimal risk when the prostaglandin is used as a suppository vaginally). When menstrual regulation is achieved medically, vaginal bleeding is much heavier when compared with the surgical method. In the surgical procedure of menstrual regulation, the doctor inserts a tube into the uterus through the cervix and by exerting pressure at one end of the IUD (intra-uterine device), yanks the lining of the uterus. The breaking of the uterine wall results in menstruation. The surgical method involves the use of hand vacuum syringe and flexible cannula. The surgical procedure is very brief and lasts only a few minutes and does not require administration of general anesthesia. Menstrual regulation provides best results when a person reports between the 35th-45thday from the last menstrual period (LMP) and the MR is done before the 49th day since the LMP. It has been observed that the procedure gives optimum results in terms of least occurrence of associated risks when performed between 42nd and 49th day since the last menstrual period. When the procedure is performed before the 35th day since the LMP, there is the possibility that there was no pregnancy at all and that the procedure was unwarranted. When performed after the 49th day, there is a possibility that the procedure may have not been sufficient to remove the embryonic growth completely. There are two kinds of risks associated with surgical or invasive MR - one is the continuation of the pregnancy and the other is development of complications post MR. Complications that have been observed are cervical laceration, hypotension, pelvic infection, and prolonged bleeding. However, it is to be noted that it is a very small percentage of less than 1% when the procedure is performed before the 49th day of the LMP. It is necessary that post-procedure, women should follow-up with their doctors for 2-4 weeks, to ensure that the pregnancy has not continued, or there are no complications, and that contraception is being used in the proper manner. However, women should be cautious against repeated use of the MR procedure, considering the risks and complications associated with it, and should rather use contraception to avoid pregnancy. Though a simple and safe procedure, menstrual regulation is advisable when a woman is referred shortly after missing a period, say, between 35-45 days from the LMP. Menstrual regulation as a procedure, would likely pose lesser emotional and ethical problems for a woman as there is very little embryonic development at such an early stage of pregnancy. Of course, it would be a less traumatic decision to make to undergo menstrual regulation, than to decide to opt for an abortion at a later stage of pregnancy. First Published Date: 14 Oct 2009 Last modified Date: April 23 2019 This page may have been updated recently as new information is available or the content may have been edited for better readability.